Rinalee is a cute 18-year-old student we’ve snapped several times before. She is wearing a pastel outfit with pink dip-dye hair. 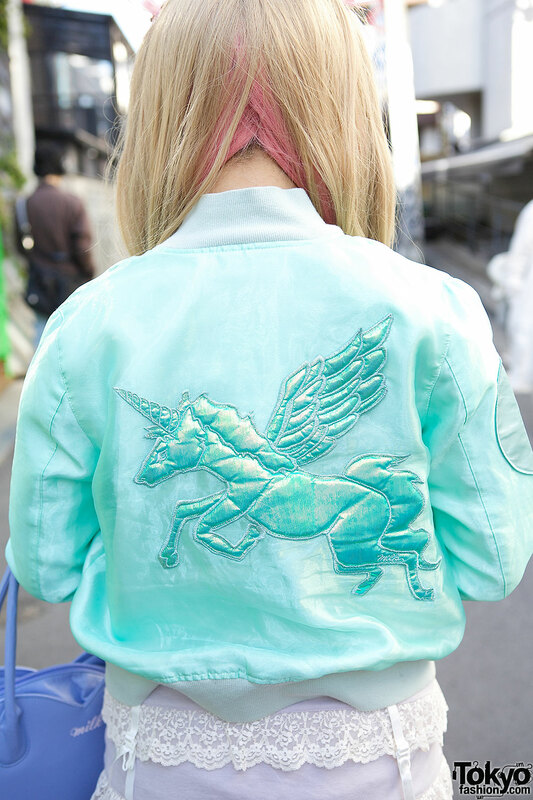 Rinalee’s Pegasus bomber jacket is from Milk, worn with a lace top from Forever 21 and a Katie dress. Her heart-shaped bag is also from Milk, and her rocking horse shoes with studded ankle straps (worn with striped over the knee socks) are from Body Line. 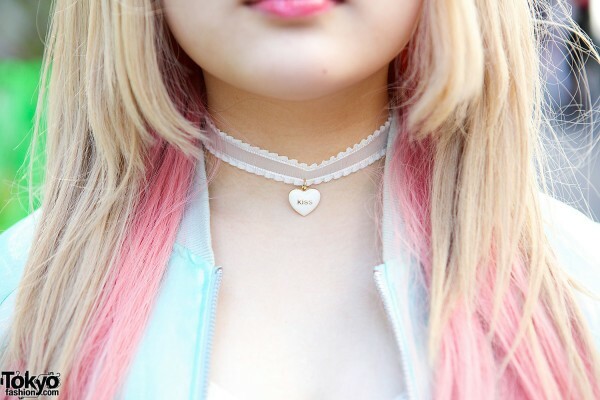 She is also wearing hair bows, heart-shaped facial stickers and a heart-shaped choker from Claire’s. Rinalee told us that she likes the Japanese kawaii brand Katie most of all, and that she’s a NEWS fan. Find out more about her style from her Twitter. This snap was originally posted on Vogue.com during Japan Fashion Week. Perfect. So cute and beautiful.